The Polar M600, which was announced in August of 2016, is on the list of smartwatches slated to get the Android Wear 2.0 update. But there's more to look forward to when the update rolls if you own the GPS fitness watch or were planning on buying it. Polar has announced that the M600 will be getting Android Wear 2.0, including the Google Assistant, more customizable watch faces, and integrated Google Play Store. The update also improves the battery life to 36 hours, a nice upgrade from the 24 hours that were quoted at launch, especially for those who use more of the sporty and battery-draining features of the M600. There is also a new watch face and more supported languages — Vietnamese, Turkish, Swedish, Norwegian, Finnish, and Danish. But the more significant non-Wear 2.0 related changes are the new swimming metrics. I find that most activity and sports trackers focus on running and cycling, leaving swimming as an afterthought, which is annoying for someone whose exercise happens mostly inside a pool. So it's nice to see swimming get attention from the Polar team. The M600 will be able to recognize strokes and differentiate between freestyle, backstroke, breaststroke, and butterfly. It will also calculate distance, pace, strokes per minute, and strokes per length pool, i.e. several of the stats that are essential for any swimmer. Speed and SWOLF score aren't mentioned, but those would just be nice bonuses. There's no clear timeline on the update's release, beyond "spring," so the wait might be short, but it could also be several months long. KEMPELE, FINLAND – Feb. 9, 2017 – Polar, the leader in wearable sports technology, introduces Android Wear™ 2.0 compatibility and indoor swimming metrics to their Polar M600 smartwatch. Available soon, the latest Android Wear update enables both Android and iOS users to access the Google Play store via the watch, download apps and operate them directly on the Polar M600. A sports watch at its core, Polar M600 now offers new indoor swimming metrics such as distance and pace, as well as strokes per minute and strokes per pool length. Polar M600’s latest metrics will even determine whether a swimmer is swimming freestyle, backstroke, breaststroke or butterfly. Recently named an International CES 2017 Innovation Awards Honoree in the Fitness, Sports and Biotech product category, Polar M600 is built for serious training while also boasting a sleek design for a connected lifestyle. Polar M600 features Polar’s proprietary 6-LED optical heart rate technology and industry-leading heart rate algorithms. These advanced technologies deliver incredible accuracy, stability and reliability that distinguish Polar from every alternative on the market. 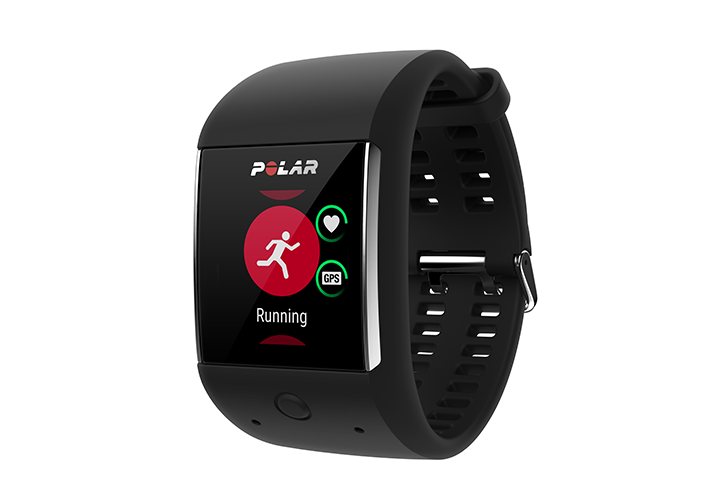 Polar M600 also offers integrated GPS, 24/7 activity tracking and Polar Smart Coaching features. With Android Wear 2.0, Polar M600 has Google Assistant** built-in. Users can access also customize watch faces, receive calendar notifications, read and reply to texts, scroll through social media feeds and access even more apps via Google Play™. The latest update also includes an improved user interface, a newly designed watch face and additional languages including Vietnamese, Turkish, Swedish, Norwegian, Finnish and Danish. The newest update will be available to all Polar M600 users this Spring. Polar M600 is available now in Charcoal Black and Powder White for $329.95. Interchangeable wristband accessories are available in Red, White, and Black for $29.95. * Android, Android Wear, Google Play and other marks are trademarks of Google Inc.
Polar is the innovator in heart rate monitoring, activity trackers and training computers. With nearly 40 years of experience and a proud heritage in physiological and sports medical research, we cater to all levels of fitness by offering a comprehensive product range including cycling computers, wearable sports devices and activity trackers, training apps and online services. Our award-winning training computers are the number one choice among consumers worldwide, being sold through over 35,000 retailers globally. Headquartered in Finland, Polar is a privately held company that operates in more than 80 countries including U.S. headquarters in Lake Success, NY. For more information, please visit polar.com.